Deciding where to complete post-secondary education can be a daunting task. In order to make the best determination, many factors must be considered. While net cost is a primary concern, there is much more information to be gathered and digested. Geography, philosophy of education, variety of programs and individual school statistics (e.g. admission rate, retention rate and graduation rate) play an important part in the final decision. 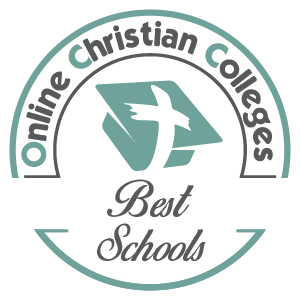 In order to assist in the decision process, Online Christian Colleges and Universities is pleased to offer the following list of the 50 Best Christian Colleges and Universities 2018. Schools included are deliberately Christian in their mission, values and vision. Most provide a wide range of degree programs and offer a top-notch education. Our desire is to be a source of valuable information to help the student and family reach a decision that is well reasoned and appropriate for the student’s aspirations and goals. The methodology used in this ranking include the elements of Student/Faculty Ratio, Cost, Financial Aid, Exclusivity (Admission Rate), Retention Rate and Graduation Rate. Equal weight was given to each element, and the totals were compiled into a preliminary ranking. This was further reviewed and tie scores were settled by comparing net cost and the presence of financial aid (% of students who receive aid). 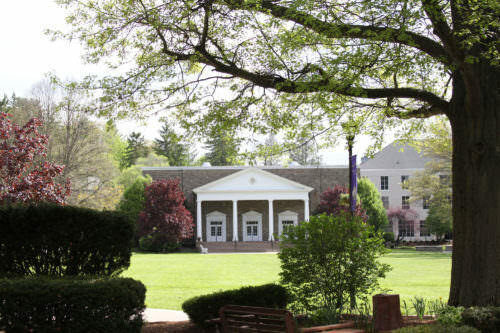 Covenant College is a private, Christian liberal arts college affiliated with the Presbyterian Church in America (PCA) and located in Lookout Mountain, Georgia. Established in 1955, the College was originally founded in Pasadena, California before moving to its present location across the country in Georgia. Covenant College’s main mission is “to explore and express the preeminence of Jesus Christ in all things.” This mission statement continues, “We educate Christians to engage culture and cultures, to examine and unfold creation, and to pursue biblical justice and mercy in community. With the student-faculty relationship and strong teaching and scholarship at the foundation, our Christ-centered community seeks to help students mature in three primary areas: Identity in Christ; Biblical frame of reference; Service that is Christ-like.” Accredited by the Southern Association of Colleges and Schools Commission on Colleges to award associate, baccalaureate, and master’s degrees, Covenant College offers a wide range of academic programs including (but not limited to) the areas of Biblical & Theological Studies; Business; Community Development; Computer Science; Education; Engineering; International Studies; Philosophy; Physical & Sport Education; and a variety of pre-professional programs in the areas of law, medicine, nursing, and physical therapy. 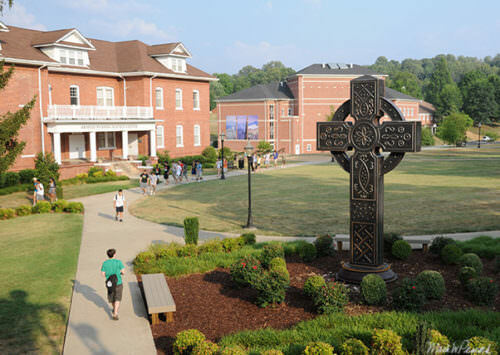 Covenant College has a total enrollment figure of 1,058, including 1,005 undergraduate students who come from 44 different states and 16 countries. 84% of students live on campus, and the College maintains an average student to faculty ratio of 13 to 1. Covenant College admits 96% of applicants and has a high retention rate of 86% among full-time students and an overall graduation rate of 67%. Estimated tuition cost is $32,230, according to the latest data available which was collected from the 2016-17 academic year. However, the net cost of tuition is often reduced as 100% of beginning, full-time students do receive financial aid. Biola University is a private, evangelical university located in La Mirada, California on a 95 acre campus less than 25 miles from beaches, Disneyland, the Hollywood Bowl and other iconic locations in Southern California. Established in 1908, Biola University (a name which originally served as an acronym for the “Bible Institute of Los Angeles”) seeks to prepare students to “think biblically about everything” and strives to offer a “biblically centered education, intentional spiritual development and vocational preparation within a unique learning community where all faculty, staff and students are professing Christians.” Undergraduate students are required to complete 30 credit hours of Bible and theology classes, qualifying most for a minor in biblical and theological studies. Accredited by the WASC Senior College and University Commission as well as a number of specific program accreditations, Biola University is comprised of several schools, including the Cook School of Intercultural Studies, the Crowell School of Business, the Rosemead School of Psychology, the School of Education, the School of Fine Arts and Communication, the School of Humanities and Social Sciences, the School of Science, Technology and Health, and the Talbot School of Theology. Biola University has a total enrollment figure of 6,095, including 4,091 undergraduate students, and maintains an average student to faculty ratio of 15 to 1. The University has an admission rate of 65% and boasts a high retention rate of 84% among full-time students and an overall graduation rate of 72%. Estimated tuition cost is $36,696, according to the most recently available data collected from the 2016-17 academic year; however, 98% of beginning, full-time undergraduates receive some type of financial aid, including institutional scholarships and grants, federal or other government grants, and student loan aid. Evangel University is a private, comprehensive, Christian university located in Springfield, Missouri on an 80 acre campus. 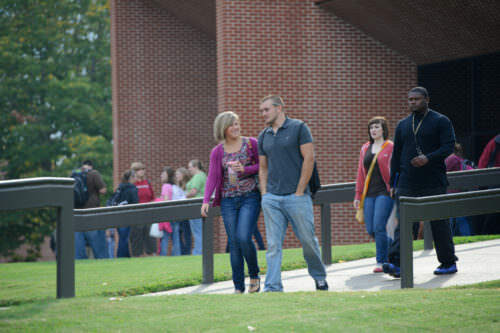 While affiliated with the Assemblies of God denomination, Evangel University attracts and enrolls students from a range of Christian denominational backgrounds and faith traditions; the key factor which unites all students regardless of their denomination is their desire and commitment for strong academics as well as to “combine their Christian faith with every aspect of their lives.” Established in 1955, Evangel University was the first Pentecostal liberal arts college to be chartered in United States. The University’s mission is to be “a comprehensive Christian university committed to excellence in educating and equipping students to become Spirit-empowered servants of God who impact the Church and society globally.” Accredited by The Higher Learning Commission, Evangel University offers over 100 academic programs through its colleges and departments. These include the College of Arts and Sciences which encompasses the departments of Behavioral and Social Sciences, Business, Communication, Education, Humanities, Music, Kinesiology, and Natural and Applied Sciences; the College of Adult & Graduate Studies; the Assemblies of God Theological Seminary; and the department of Online Studies. 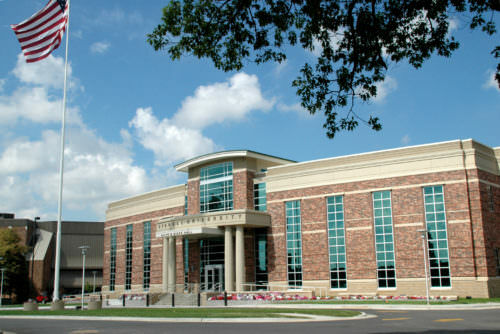 Evangel University has a total enrollment figure of 1,821, including 1,627, employs 100 faculty members and maintains an average undergraduate student to faculty ratio of 14 to 1. Estimated tuition costs are $22,081, according to the latest data available from the 2016-17 academic year. The net cost of tuition is reduced, however, due to the fact that 100% of beginning, full-time undergraduate students receive financial aid, including institutional scholarships and grants, federal or other government grants, and student loan aid. Evangel University admits 75% of applicants and has a high retention rate of 76% among full-time students and an overall graduation rate of 55%. Wheaton College is a private, residential, Christian liberal arts college and graduate school located in Wheaton, Illinois. Self-described as both “explicitly Christian” and “academically rigorous,” Wheaton College is guided by its original mission to “provide excellence in Christian higher education.” The College seeks to be “a community of grace” and to “honor Jesus Christ with mind, soul, body, and strength.” Established in 1860 as the Illinois Institute, Wheaton College has seen much growth since its early years and has served as the alma mater of many notable Christian figures, including missionaries, pastors and evangelists throughout the 20th century. Wheaton College is accredited by the Higher Learning Commission (North Central Association of Colleges and Schools) and offers over 40 undergraduate degree programs in the liberal arts and sciences and 14 graduate-level degrees. Specific degrees awarded include the Bachelor of Art, Bachelor of Sciences, Bachelor of Music, and Bachelor of Music Education, as well as the Master of Arts, Master of Arts in Teaching, Doctor of Philosophy, and Doctor of Psychology. Notable for its high population of missionary- and third culture-kids, Wheaton also has a relatively high percentage of ethnic minority faculty members among its 203 full-time and 111 part-time faculty. The College’s total enrollment figure is 2,901, including 2,456 undergraduate students, with an average student to faculty ratio of 11 to 1. Wheaton College admits 87% of applicants and boasts impressively high retention and overall graduation rates of 95% and 91%, respectively, among full-time students. Estimated tuition cost is $34,050, according to the most recent data collected from the 2016-17 academic year; this figure is, however, often reduced as 87% of beginning, full-time undergraduates receive some type of financial aid, including institutional scholarships and grants, federal and other government grants, or student loan aid. Toccoa Falls College is a private, nonprofit, Christian liberal arts college located in Toccoa, Georgia. Set on a beautiful 1,100 acre campus on the edge of the Piedmont region in the rural foothills of the Blue Ridge Mountains, the College’s campus is home to the historic “Toccoa Falls” waterfall. An affiliate college of the Christian and Missionary Alliance denomination, Toccoa Falls College works with many evangelical Christian groups. The College was established in 1907 by R.A. Forrest with the mission to “glorify God through seeking and developing Christian servant leaders who will impact the world with the love and message of Jesus Christ.” Toccoa Falls College’s vision is to “be known as a premier Christian college that uniquely integrates biblical truth, academic excellence, and intentional spiritual formation within a caring Christian community.” Accredited by the Southern Association of Colleges and Schools since 1983, the College offers a wide range of degree programs and is comprised of the School of Arts & Sciences, the School of Christian Ministries, the School of Professional Studies and the new Fetterman School of Nursing which opened Fall 2017. 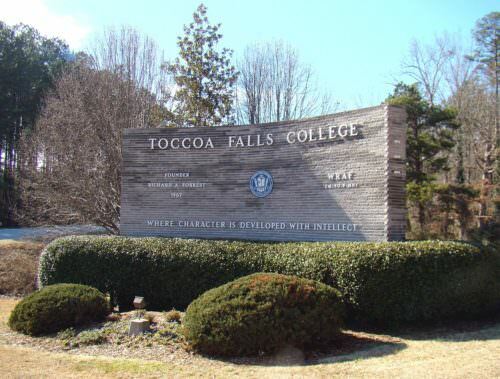 Toccoa Falls College has a total enrollment figure of 1,252, all of whom are undergraduate students, and maintains an average student to faculty ratio of 14 to 1. Estimated tuition costs are $21,414, according to the latest available data collected from the 2016-17 academic year; however the net cost to students is often reduced as 100% of beginning, full-time undergraduates receive financial aid, whether in the form of institutional grants or scholarships, federal or other government grants, or student loan aid. Toccoa Falls admits just over half of all applicants (54%) and has a retention rate of 72% among full-time students and an overall graduation rate of 49%. 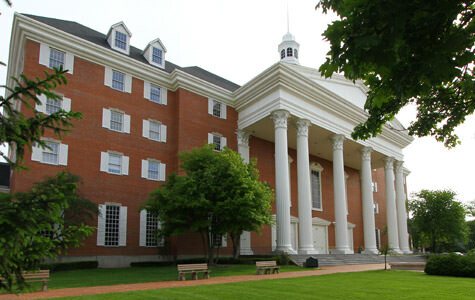 Bryan College is a Christian liberal arts college located in Dayton, Tennessee, about 35 minutes north of Chattanooga on a 128 acre hilltop campus in the foothills of the Smoky Mountains. Chartered as William Jennings Bryan University in 1930, the institution’s stated purpose was and is to provide “for the higher education of men and women under auspices distinctly Christian and spiritual.” In 1958 the school was designated as the William Jennings Bryan College, and this name was further shortened to Bryan College in 1993. Today, Bryan College’s mission is “educating students to become servants of Christ to make a difference in today’s world.” This statement continues, “The College seeks to assist in the personal growth and development of qualified students by providing an education based upon an integrated understanding of the Bible and the liberal arts.” While a distinctly Christian school, the College’s charter states that “no sectarian tests or statement of belief are to be imposed on any student.” However, anyone serving in a position of authority at the school (trustee, faculty member, officer, etc.) is required to subscribe to the College’s Statement of Belief. Accredited by the Southern Association of Colleges and Schools Commission on Colleges, Bryan College offers 29 majors and 3 graduate programs. The College has a total enrollment figure of 1,481, including 1,349 undergraduate students, with an average student to faculty ratio of 14 to 1. 42% of applicants are admitted, and the College’s overall retention rate is high at 83% among full-time students, as is its overall graduation rate of 58%. Estimated tuition cost is $24,450, based on data collected from the 2016-17 academic year, and 95% of beginning, full-time students receive some type of financial aid, including institutional grants and scholarships, federal and other government grants, and student loan aid. Milligan College is a private, Christian liberal arts college located in the mountains of Upper East Tennessee and the Tri-Cities region in the town of Milligan College, Tennessee. 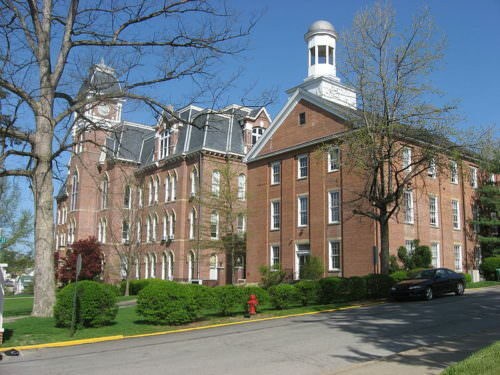 Affiliated with nondenominational Christian Churches, Milligan College began in 1866 as a private secondary school known as the Buffalo Male and Female Institute. Its name was changed to Milligan College in 1881 by then-college president, Dr. Joseph Hopwood. Named in honor of Robert Milligan, one of the former professors of Dr. Hopwood, Milligan had made a profound impression on Dr. Hopwood as a man who modeled “the virtues of Christian discipleship and intellectual formation.” Today, the College’s mission is “to honor God by educating men and women to be servant‑leaders.” Built upon the core values of Scholarship, Community, and Faith, which all overlap into Servant Leadership, institutional outcomes include demonstration of the “ability to acquire, create, and apply knowledge through sound scholarship.” Comprised of several schools and a seminary, these include the School of Arts & Humanities, the School of Bible & Ministry, the School of Business & Technology, the William B. Greene, Jr. School of Sciences & Allied Health, the School of Social Sciences & Education, the Graduate & Professional Studies department, and Emmanuel Christian Seminary. Milligan College has a total enrollment figure of 1,195, including 880 undergraduate students, with an average student to faculty ratio of 10 to 1. Of these students, 80% live on campus, and there are representatives from 35 states and over 30 foreign countries. Milligan College’s estimated tuition costs are $31,450 according to data collected from the 2016-17 academic year, and 100% of beginning, full-time undergraduate students receive financial aid. 72% of applicants are admitted, and the College has a retention rate of 79% among full-time students and an overall graduation rate of 63%. Lipscomb University is a private, coeducational, liberal arts university affiliated with the Churches of Christ and located in Nashville, Tennessee. Established in 1891 by David Lipscomb and James A. Harding, the University began as a pre-k through grade 12 campus school and has since grown into a top-ranked university. Lipscomb University’s primary mission is “to integrate Christian faith and practice with academic excellence,” a mission which faculty and students seek to carry out “not only in the classroom but also by involvement in numerous services to the church and the larger community.” Built on the pillars of Faith, Community, Knowledge, Innovation, and Service, Lipscomb University’s principal focus in on providing quality undergraduate education in the liberal arts and sciences, offering these programs as well as undergraduate professional and pre-professional degrees, and master’s and doctoral degree programs. Currently, 145 areas of undergraduate programs are offered as well as several pre-professional programs and an accelerated evening and online adult degree program. At the graduate level, Lipscomb University offers 25 master’s degrees, 4 education specialist degrees, and 3 doctorate degrees in 58 fields of study. Lipscomb University is accredited by the Southern Association of Colleges and Schools Commission on Colleges to award associate, baccalaureate, master’s, and doctoral degrees. The University has a total enrollment figure of 4,632, including 2,986 undergraduate students, with an average student to faculty ratio of 12 to 1. Admitting just 61% of applicants, the University has a high retention rate of 85% among full-time students and an overall graduation rate of 58%. Estimated tuition costs are $29,756, according to the latest available data from the 2016-17 academic year. However, the net cost to students is often reduced as 98% of beginning, full-time undergraduates receive financial aid, including institutional grants and scholarships, federal or other government grants, and student loan aid. 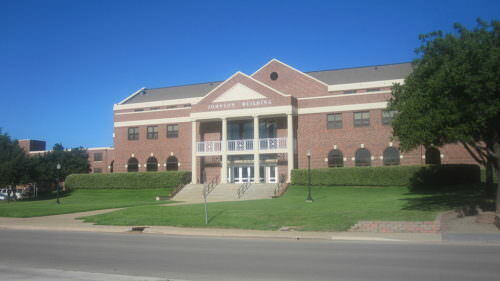 Hardin-Simmons University is a private, Baptist university located in Abilene, Texas. Established in 1891 by a devoted group of ministers, ranchers and merchants, the University has been affiliated with the Baptist General Convention of Texas since 1941 and continues in its commitment to develop the minds and nurture the spiritual lives of students. Hardin-Simmons University seeks to provide an “academically challenging undergraduate education based on a liberal arts foundation, and advances scholarly growth by offering specialized graduate and professional degree programs.” The University combines a “commitment to academic excellence and a concern for the development of the total person with a distinctive Christian perspective,” and “serves students through quality educational programs designed to provide ‘An Education Enlightened by Faith.’” The University’s mission is to be “a community dedicated to providing excellence in education enlightened by Christian faith and values.” The University is comprised of several colleges and schools, including the College of Fine Arts, the Cynthia Ann Parker College of Liberal Arts, the Holland School of Sciences and Mathematics, the College of Human Sciences and Educational Studies, the Kelley College of Business, the Logsdon School of Theology, the Logsdon Seminary, the Patty Hanks Shelton School of Nursing, and the department of Graduate Studies. Accredited through the Southern Association of Colleges and Schools, Hardin-Simmons University has a total enrollment figure of 2,205, including 1,708 undergraduate students, and maintains an average student to faculty ratio of 12 to 1. Tuition costs are estimated at $25,830, according to the latest available data from the 2016-17 academic year, and 100% of beginning full-time undergraduates receive some type of financial aid, including institutional grants and scholarships, federal or other government grants, and student loan aid. 88% of applicants are admitted, and the University has a retention rate of 71% and an overall graduation rate of 52%. 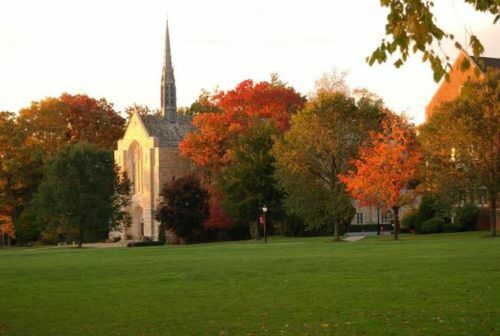 Roberts Wesleyan College is a Christ-centered liberal arts college which offers liberal arts and professional programs and is located in Rochester, New York. Established in 1869 as Chili Seminary by Benjamin T. Roberts, in 1885 the school was renamed A.M. Chesbrough Seminary. In 1945 its name was again changed to Roberts Junior College in order to match the level of growth the school had achieved, and just four years later in 1949 the College adopted its current name of Roberts Wesleyan College and was granted a charter to offer a four-year curriculum. Today, the mission of Roberts Wesleyan College is to be a “community of learners committed to historic Christianity,” and the College “seeks to prepare thoughtful, spiritually mature, service-oriented people who will help transform society.” Accredited by the Middle States Commission on Higher Education, the College is also a member of several organizations, including the Council of Christian Colleges & Universities, the Council of Independent Colleges, and the Association of Free Methodist Educational Institutions. Roberts Wesleyan College offers 60 majors, 16 graduate programs and 11 online programs, with undergraduate programs in the areas of Art, Business, Communication, Computer Science, Criminal Justice, Education, Engineering, History, Language & Literature, Math, Ministry, Music, Nursing, Physics, Pre-Health, Psychology, Science, and Social Work. 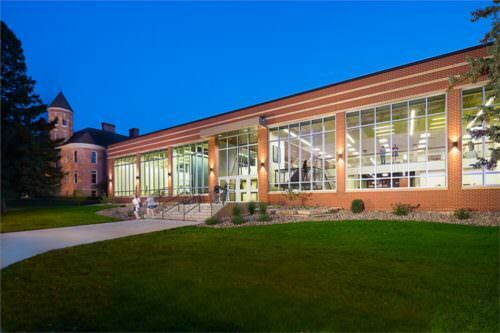 Roberts Wesleyan College has a total enrollment figure of 1,698, including 1,316 undergraduate students, with an average student to faculty ratio of 13 to 1. Estimated tuition costs are $29,540 according to the latest available data from the 2016-17 academic year, and 100% of beginning, full-time undergraduates receive financial aid, including institutional grants and scholarships, federal and other government grants, and student loan aid. The College admits 65% of applicants and has a retention rate of 75% among full-time students and an overall graduation rate of 59%. Taylor University is a private, interdenominational, evangelical Christian college located in Upland, Indiana on a 952-acre campus conveniently located just 5 miles east of I-69, 50 miles south of Fort Wayne, and 70 miles north of Indianapolis. 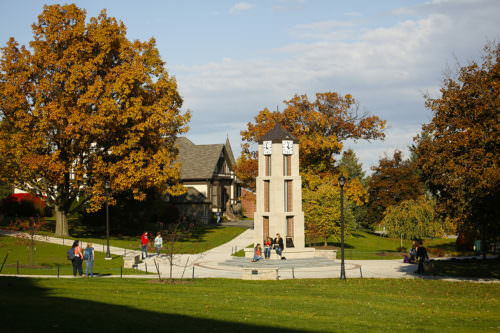 Established in 1846, Taylor University is one of the oldest evangelical Christian colleges in the US. Global engagement and service are a core of Taylor identity and experience; last year over 450 students earned credit while participating in 32 programs in 35 countries. Students may also earn credit for participating in service-learning or cross-cultural programs, and the University was ranked 6th in the nation for undergraduate participation in study abroad for baccalaureate colleges, according to latest Open Doors survey, as well as 4th in the nation among baccalaureate colleges for short-term duration trips. Taylor University is accredited by the Higher Learning Commission and offers 119 undergraduate majors, including 45 Bachelor of Arts majors; 61 Bachelor of Science majors; 3 Bachelor of Music majors; one Bachelor of Fine Arts major; 4 Associate of Arts majors; a Master of Arts in Higher Education and Student Development; and a Master of Business Administration (a Lithuanian program). Taylor University has a total enrollment figure of 2,170 with an average student to faculty ratio of 12 to 1. At least 40% of Taylor University’s students are from Indiana, though students come from 45 states and 36 other countries. Among its total student population, over 200 are enrolled online, and more than half of traditional classes have fewer than 20 students. Taylor University’s tuition costs are estimated at $31,472, based on data from the 2016-17 academic year, and 99% of beginning, full-time undergraduate students receive financial aid. 80% of applicants are admitted, and the University has a retention rate of 85% among full-time students and an overall graduation rate of 76%. Liberty University is a private, nonprofit, liberal arts institution located in Lynchburg, Virginia and classified as a doctoral research university by the Carnegie Classification. The fifth largest university in the nation as well as the world’s largest Christian university, Liberty University continues to maintain and uphold founder Dr. Jerry Falwell’s mission to develop “Christ-centered men and women with the values, knowledge, and skills essential to impact the world.” Over 550 programs of study are offered, including 366 residential programs and 289 online programs. 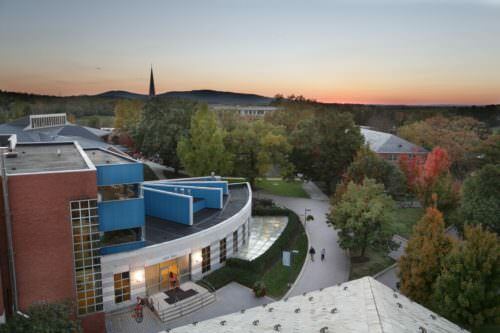 Among its nearly 400 traditional on-campus programs, Liberty offers 218 undergraduate, 144 graduate and 4 doctoral degrees; the breakdown of its online program offerings are 79 undergraduate, 175 graduate, 7 post master’s, and 28 doctoral programs. 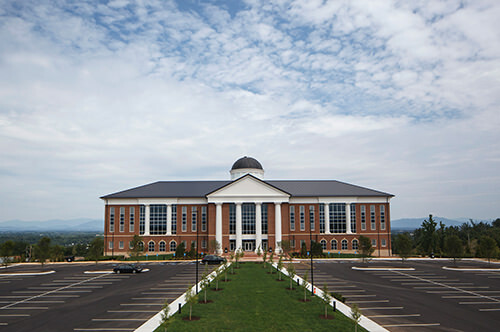 Accredited by the Southern Association of Colleges and Schools Commission on Colleges (SACSCOC), Liberty University is comprised of 17 colleges and schools, including the Liberty University School of Law, the Rawlings School of Divinity, and the Liberty University College of Osteopathic Medicine. The University’s other Colleges and Schools cover the areas of Aeronautics, Arts & Sciences, Behavioral Sciences, Business, Communication & Digital Content, Education, Engineering & Computational Sciences, Health Sciences, Government, Music, Nursing, and Visual & Performing Arts. The alma mater of over 250,000 alumni, Liberty University has a current enrollment figure of 75,756. Taught by over 2,500 professors, Liberty maintains a student to faculty ratio of 19 to 1 and as a selective institution, admits just 24% of applicants. Estimated tuition costs are $21,292 according to the latest data available from the 2016-17 academic year, and 96% of beginning, full-time undergraduate students receive financial aid, including institutional grants and scholarships, federal and other government grants, and student loan aid. Liberty University maintains an impressive retention rate of 83% among full-time students and an overall graduation rate of 51%. Abilene Christian University is a private, non-profit university located in Abilene, Texas and affiliated with the Churches of Christ. Established in 1906 as the Childers Classical Institute, today Abilene Christian University defines itself as “committed to transformative, energized learning” with a mission to “educate students for Christian service and leadership throughout the world.” Set on a spacious campus of 262 acres in beautiful west Texas, the University is only 150 miles west of Dallas where the University’s branch campus, ACU Dallas, is located. Comprised of several colleges and schools, these include the College of Arts and Sciences, the College of Education and Human Services, the College of Biblical Studies, the College of Business Administration, the School of Nursing, the Honors College, and the College of Graduate and Professional Studies. 70 baccalaureate majors are offered in 135 areas of study as well as 27 master’s degrees and three doctoral degrees. Aside from its quality traditional academic programs, Abilene Christian University also maintains a strong online presence, offering internet-based graduate and professional degree programs through its Dallas campus. Accredited by the Southern Association of Colleges and Schools Commission on Colleges to award associate, baccalaureate, master’s and doctoral degrees, Abilene University has a total enrollment figure of 4,910. Of these nearly 5,000 students, 3,758 are undergraduates, and the University maintains an average student to faculty ratio of 14 to 1. Estimated tuition costs are $32,070 according to the latest available data from the 2016-17 academic year, and 100% of beginning, full-time undergraduate students receive financial aid, including institutional scholarships and grants, federal and other government grants, and student loan aid. Abilene Christian University’s retention rate is 76% among full-time students, and its overall graduation rate is 62%. North Greenville University is a private, comprehensive, Christian liberal arts institution based out of Tigerville, South Carolina. The University’s main campus is situated in the foothills of the beautiful Blue Ridge Mountains in northern Greenville County and is just 20 miles north of the award-winning city of Greenville, SC, which has been rated as one of the best places in the nation to live. Founded at the dawn of the 20th century, North Greenville University began as the North Greenville High School which was formally chartered in 1904. Today, North Greenville University seeks to be a “Christ-centered community of genuine, caring faculty and staff members who are committed to providing every student with not only a quality educational experience, but also hands-on opportunities for spiritual growth and service on campus, in the local community, and around the world.” Recognized as one of the most notable conservative Christian universities in the Southeast and the nation, North Greenville University is affiliated with the South Carolina Baptist Convention and Southern Baptist Convention and is accredited by the Southern Association of Colleges and Schools Commission on Colleges (SACSCOC). North Greenville University offers over 50 undergraduate, graduate, and undergraduate online degree options and is comprised of seven colleges. With a total enrollment figure of 2,534, including 2,341, the University has a low student to faculty ratio of 14 to 1 and admits 59% of applicants. Estimated tuition costs are $17,594 according to the latest available data from the 2016-17 academic year, and 100% of beginning, full-time undergraduates receive some type of financial aid, such as institutional grants or scholarships, federal or other government grants, or student loan aid. The University’s retention rate among full-time students is high at 70% with an overall graduation rate of 57%. Harding University has a total enrollment figure of 5,902, including 4,419 undergraduate students, with an average student to faculty ratio of 16 to 1. Students come from all fifty states and at least 54 foreign countries. Estimated tuition costs are $18,635 according to the latest available data from the 2016-17 academic year. 98% of beginning, full-time undergraduate students receive financial aid, including institutional grants or scholarships, federal or other government grants, and student loan aid. Harding University admits 70% of applicants and has a high retention rate of 82% among full-time students and an overall graduation rate of 64%. 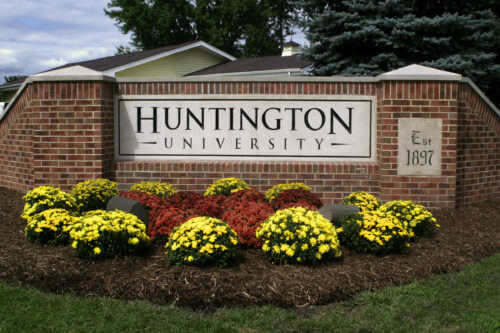 Huntington University has a total enrollment figure of 1,295, including 996 undergraduates, with an average student to faculty ratio of 12 to 1. A variety of undergraduate, graduate, and pre-professional degree programs are offered, including the Bachelor of Arts, Bachelor of Music, Bachelor of Science, Bachelor of Science in Nursing and Bachelor of Social Work; the Master’s Degree in Counseling, Master’s Degree in Education, Master’s Degree in Global Youth Ministry, Master’s Degree in Pastoral Leadership and Master’s Degree in Organizational Leadership; a Doctoral Degree in Occupational Therapy; and pre-professional programs in Law, Medicine, Pharmacy and Athletic Training. Estimated tuition costs are $25,400, according to data available from the 2016-17 academic year, and 100% of beginning full-time undergraduate students receive financial aid. The University’s admissions rate is 89% with a retention rate of 81% among full-time students and an overall graduation rate of 65%. Whitworth University is a private, Christian liberal arts institution located in Spokane, Washington on a 200-acre campus. More than $100 million has been invested in campus improvements over recent years. Whitworth is committed to sustainability and is pursuing LEED certification (Leadership in Energy and Environmental Design). Affiliated with the Presbyterian Church, Whitworth University was established in 1890 with the founding mission to provide “an education of mind and heart through rigorous intellectual inquiry guided by dedicated Christian scholars.” The University strives to be “a place of fearless intellect and unconstrained commitment to Christ” and offers a variety of undergraduate and graduate programs. 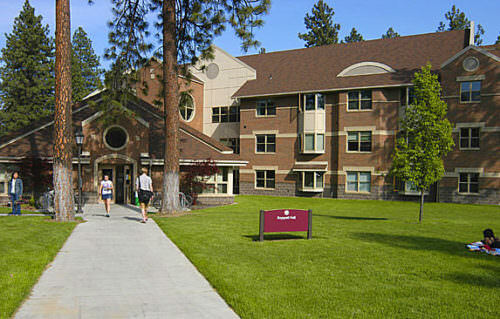 Whitworth is comprised of three schools and a college. These include the College of Arts & Sciences, which consists of 18 undergrad arts and science departments and offers 41 majors and a Master of Arts in Theology; the School of Business, which offers several undergraduate and graduate programs, including accounting, business management, and business administration; the School of Education, which consists of the Departments of Teacher Education and Graduate Studies in Education and offers a Master in Teaching Program; and the School of Continuing Studies, which offers accelerated-format classes. Whitworth University has a total enrollment figure of 2,634, including 2,297 undergraduate students, with an average student to faculty ratio of 12 to 1. Students come from 33 states and 40 countries, and the University has a 2.7% international enrollment. 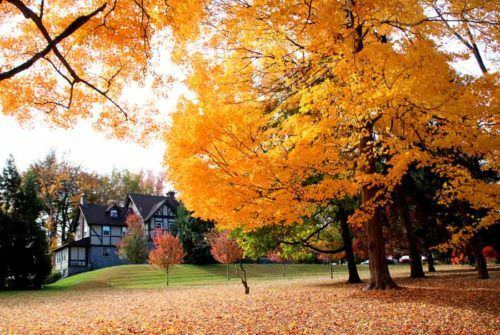 A selective school, 60% of applicants are admitted into Whitworth University, and estimated tuition costs are $40,562, according to the latest available data from the 2016-17 academic year. 89% of beginning, full-time undergraduate students receive financial aid. The University’s overall retention rate is 73%. 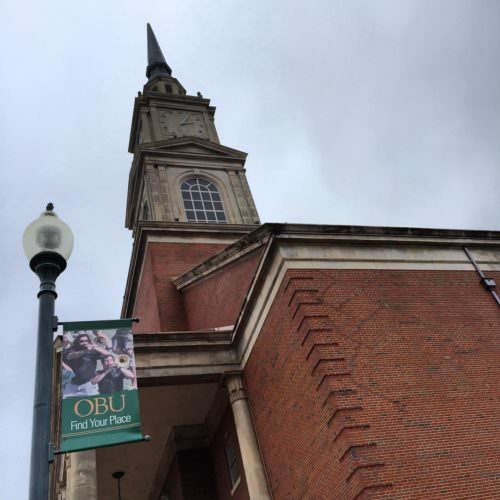 Oklahoma Baptist University has a total enrollment figure of 2,073, including 1,960 undergraduates, with an average student to faculty ratio of 13 to 1. Students come from at least 40 states and 35 other countries to attend the University, which has an admission rate of 60%. Classes are taught by OBU’s 117 faculty members, all of whom are active Christians. Estimated tuition costs are $25,310, according to the latest available data from the 2016-17 academic year, and 100% of beginning full-time undergraduates receive financial aid. OBU’s retention rate among full-time students is 68%, and its overall graduation rate is 57%. Bob Jones University has a total enrollment figure of 2,901, including 2,566 undergraduates, with an average student to faculty ratio of 12 to 1. At least 40 countries are represented in the student body. 34% of students were homeschooled, and over half (62%) live on Bob Jones University’s spacious 225 acre campus. The University admits 87% of applicants and has a high retention rate among full-time students at 81% with an overall graduation rate of 63%. Tuition costs are estimated at $15,550 according to the latest available data from the 2016-17 academic year. However, actual costs of attending Bob Jones University can be reduced as 92% of beginning, full-time undergraduate students receive some type of financial aid, including institutional grants or scholarships, federal or other government grants, and student loan aid. 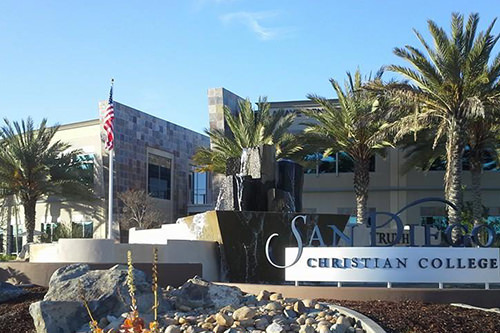 San Diego Christian College offers a range of undergraduate programs culminating in a Bachelor of Arts or Bachelor of Science degree, as well as a Master of Science in Leadership and a Master of Arts in Teaching. A total of 711 students are currently enrolled, including 695 undergraduates, and the College has an average student to faculty ratio of 8 to 1. A selective institution, SDCC admits 53% of applicants and has a retention rate of 68% among full-time students and an overall graduation rate of 52%. Tuition costs are $29,550 according to the latest available data from the 2016-17 academic year, and 99% of beginning, full-time undergraduates receive financial aid. 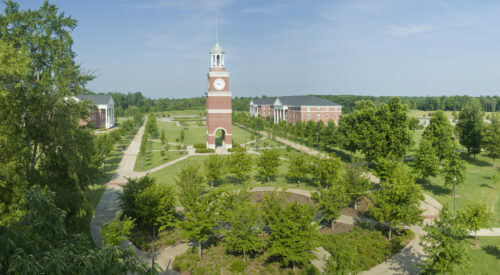 Bethel University is comprised of two colleges, a graduate school, and a seminary and offers over 100 academic programs. These include the College of Arts & Sciences, which offers 88 undergraduate majors and 11 pre-professional programs; the Graduate School, which offers an Ed.D. in Educational Leadership and 10 master’s degrees in the areas of education, gerontology, business, nursing, organizational leadership, and more; the College of Adult & Professional Studies, which offers an undergraduate programs in high growth fields in a number of locations throughout the greater Twin Cities region; and Bethel Seminary, with locations in St. Paul and San Diego, which offers graduate programs in dozens of theological, pastoral and leadership concentrations as well as an InMinistry distance learning program. With a total enrollment figure of 4,016, Bethel University admits 82% of applicants and has an average student to faculty ratio of 11 to 1. Tuition costs are $35,160, and 100% of beginning full-time undergraduates receive financial aid. Bethel University’s retention and graduation rates are 88% and 76%, respectively. Anderson University, located in Anderson, Indiana, is a private, coeducational, Christian liberal arts institution. Established in 1917, the University was founded by and remains affiliated with the Church of God denomination. Beginning as a Bible training school, Anderson University has since evolved into a full-fledged liberal arts college and university offering 50 undergraduate majors and several graduate degrees. Specific degree offerings include the Bachelor of Arts, Bachelor of Science in Engineering, Bachelor of Science in Nursing, Bachelor of Music, and Associate of Arts in Criminal Justice, as well as the Master of Business Administration, Doctor of Business Administration, Master of Divinity, Master of Theological Studies, Master of Arts in Christian Ministry (available exclusively online), and Master of Music Education, offered at the graduate level. Built upon the foundation of Integrity, Excellence, Servant Leadership, Responsibility, and Generosity, these five values “form the pillars of the Anderson experience, supporting our every undertaking.” Anderson University’s mission is “to educate for a life of faith and service in the church and society.” The University is accredited by the Higher Learning Commission. 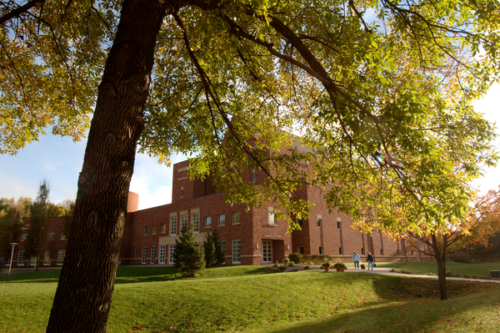 Anderson University has a total enrollment figure of 2,232, including 1,883 undergraduate students, with an average student to faculty ratio of 11 to 1. Students come from nearly every state and 22 countries and represent over 70 religious denominations. Tuition costs at Anderson are $28,650 according to the latest available data from the 2016-17 academic year, and 100% of beginning, full-time students receive financial aid, whether in the form of institutional grants or scholarships, federal or other government aid, or student loans. Anderson University admits 66% of applicants and has a retention rate of 77% with an overall graduation rate of 58%. Accredited by the Higher Learning Commission as well as several program-specific accreditations, Trinity Christian College offers programs in the Arts & Humanities, Natural & Applied Sciences, and Social Sciences. All undergraduate programs include a Liberal Arts Core Curriculum and are taught from a Christian perspective. 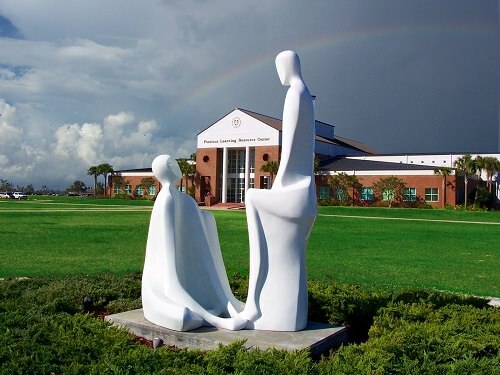 Trinity Christian College also offers pre-professional adult studies and graduate programs, including the Master of Arts in Special Education Behavior Intervention Specialist. The College’s total enrollment figure is 1,286 with an average student to faculty ratio of 11 to 1. Tuition costs are $27,675, and 100% of beginning, full-time undergraduates receive financial aid. 70% of applicants are admitted, and the College’s retention and overall graduation rates are high at 83% and 58%, respectively. 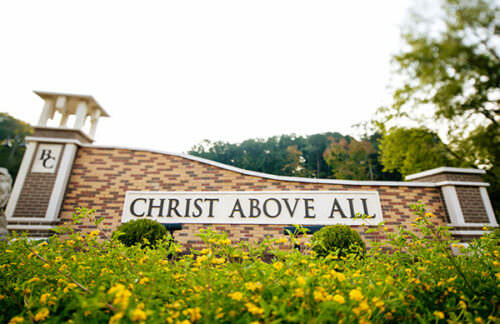 Messiah College is private Christian college of the liberal arts and applied arts and sciences located in Mechanicsburg, Pennsylvania, just 12 miles outside of the state capital of Harrisburg and a short drive away from Philadelphia, Baltimore, and Washington DC. Founded in 1909 by the Brethren in Christ Church, today Messiah College is comprised of students and faculty from a variety of Christian denominations and faith traditions. Messiah College’s motto is “Christ Preeminent.” Its mission is “to educate men and women toward maturity of intellect, character and Christian faith in preparation for lives of service, leadership and reconciliation in church and society.” Messiah College offers more than 150 undergraduate programs (including over 80 majors) as well as 27 graduate degrees and certificate programs. Summer online courses are offered, as well as a rigorous College Honors Program and a number of 3-year degree options. Messiah College has a total enrollment figure of 3,305, including 2,788 undergraduate students, with an average student to faculty ratio of 13 to 1. Among its undergraduate student population, 37 states and 32 foreign countries are represented, and 13.2% of Messiah College’s undergraduate student body is comprised of underrepresented racial, ethnic and cultural populations. Overseas experience and service are strongly encouraged by the College, and 90% of students either study or serve abroad during their time at Messiah. The estimated tuition cost is $33,180 according to data available from the 2016-17 academic year, and 100% of beginning, full-time students receive financial aid. Messiah College admits 80% of applicants and has a retention rate of 85% and an overall graduation rate of 76%. Eastern University is a coeducational, comprehensive Christian university which seeks to integrate faith, reason and justice for its students. Based out of St. Davids, PA, its main campus consists of 114 acres west of Philadelphia; the University operates several other sites, including campuses in Philadelphia and Harrisburg, Pennsylvania; Ripley, West Virginia; and Rwanda, Africa. Affiliated with the American Baptist Churches USA, Eastern University has an interdenominational Christian student body, faculty and administration. Eastern University’s mission statement declares it is “dedicated through teaching, scholarship, service, spiritual formation, student development and societal involvement to the preparation of undergraduate, graduate and Seminary students for thoughtful and productive lives of Christian faith and service.” Comprised of several colleges and a Seminary, these include the College of Business and Leadership, the College of Education, the College of Health and Social Sciences, the College of Arts and Sciences, the Templeton Honors College, Esperanza College, and Palmer Theological Seminary. Known for its nationally recognized undergraduate and graduate programs, Eastern University offers the Associate of Arts, Bachelor of Arts, Bachelor of Science, Bachelor of Social Work, Bachelor of Science in Nursing, Master of Arts, Master of Business Administration, Master of Science, Master of Education, Master of Theological Studies, Doctor of Philosophy, Doctor of Arts, and Doctor of Ministry. Eastern University has a total enrollment figure of 3,420, including 2,082 undergraduate students, and its average student to faculty ratio is 10 to 1. According to the latest data available from the 2016-17 academic year, tuition costs at Eastern are $31,140. However, this cost is reduced as 100% of beginning, full-time undergraduate students receive some type of financial aid. A selective institution, Eastern University admits 61% of applicants and boasts a retention rate of 78% among full-time students and an overall graduation rate of 58%. 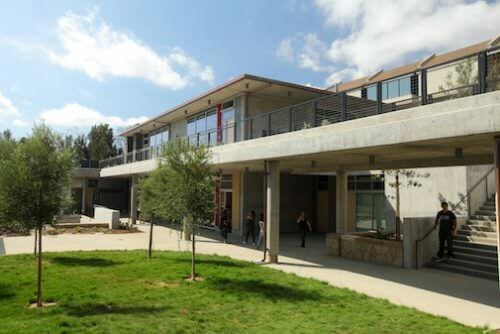 Warner Pacific College keeps class sizes low at an average of 14 students per class and has a total enrollment figure of 483, including 480 undergraduates, with an average student to faculty ratio of 10 to 1. Tuition costs are $23,370 according to the latest data available from the 2016-17 academic year, and 98% of beginning full-time undergraduate students receive financial aid, including institutional grants and scholarships, federal or other government aid, and student loan aid. 53% of applicants are admitted into Warner Pacific College, and the College’s retention rate among full-time students is 61% with an overall graduation rate of 41%. York College has a total enrollment figure of 424, including 405 undergraduate students, with an average student to faculty ratio of 12 to 1. Tuition costs are estimated at $17,700 according to the most recent available data from the 2016-2017 academic year. However, this number is reduced due to the fact that 97% of beginning, full-time undergraduates do receive some type of financial aid, whether in the form of institutional grants or scholarships, federal or other government aid, or student loan aid. 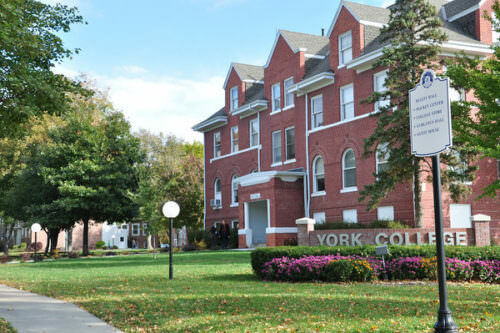 A selective institution, York College admits 50% of applicants and has a retention rate of 53% among full-time students and an overall graduation rate of 49%. Waynesburg University is a private, nonprofit Christian university based out of Waynesburg, Pennsylvania. Established in 1849 by the Cumberland Presbyterian Church and chartered in 1850 by the Commonwealth of Pennsylvania, Waynesburg University’s mission is to equip “students to make connections between faith, learning and serving so that they might faithfully transform their communities and the world.” Its mission statement continues, “As a Christian comprehensive University, we strive to inspire and challenge every undergraduate and graduate student to a life of leadership and purpose for the glory of God.” Named for Revolutionary War hero, General “Mad” Anthony Wayne, Waynesburg University operates under the motto of Fiat Lux, or “Let There Be Light.” A wide range of both undergraduate and graduate programs are offered by the University, which is accredited by the Middle States Commission on Higher Education. Top areas of undergraduate study include business, communication, criminal justice, education, forensic science and nursing. Waynesburg University is known as one of the least expensive private universities in Pennsylvania and the nation and is one of just 21 institutions in the country to offer the Bonner Scholar Program. Through this program, approximately 15 Waynesburg students are awarded a community service scholarship every year. Estimated tuition costs are $22,800; however 99% of beginning, full-time students do receive some type of financial aid, including institutional scholarships and grants, federal or other government grants, and student loan aid. Waynesburg University has a total enrollment figure of 1,805, including 1,400 undergraduate students, with an average student to faculty ratio of 12 to 1 and an admission rate of 94%. Waynesburg University has a high retention rate among full-time students at 75% as well as a high overall graduation rate of 60%. 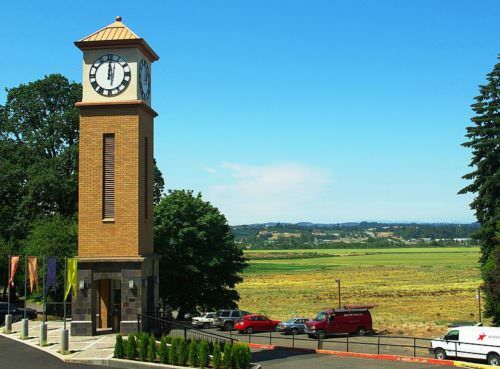 Corban University is accredited by the Northwest Commission on Colleges and Universities and is also a member of the Association of Christian Schools International (ACSI). The University offers a wide variety of academic programs ranging from education to business, from counseling to political science. 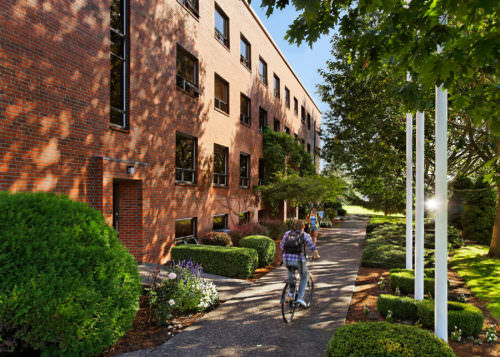 Over 1,000 students are currently enrolled with a student to faculty ratio of 13 to 1; a selective school, only 35% of applicants are admitted into Corban University. The University has a high retention rate of 80% among full-time students and an overall graduation rate of 59%. Estimated tuition costs are $30,640, and 88% of beginning, full-time undergraduates receive financial aid. Gordon College offers 38 undergraduate majors, 39 minors and 12 interdisciplinary and professional minors. Home to several centers and institutions, a handful of these include the Association of Christian Economists, the Barrington Center for the Arts, The Hermann Lectures on Faith and Science, the La Vida Center for Outdoor Education and Leadership, and the Institute for Public History, among others. The College has a total enrollment figure of 2,000 with an average student to faculty ratio of 12 to 1 and an admission rate of 92%. Boasting a high retention rate of 86% among full-time students, Gordon College also has a high overall graduation rate of 70%. Tuition costs are $36,060, and 100% of beginning, full-time students receive financial aid. Cedarville University is a private, coeducational, Christian university in Cedarville, Ohio. 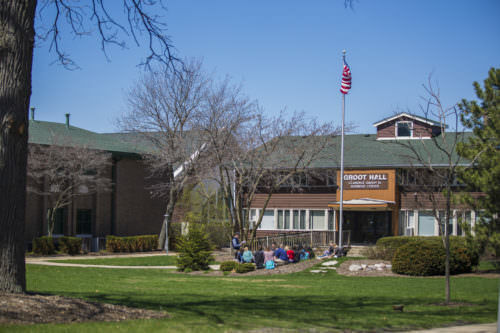 Located on a 400-acre campus on the north edge of the village of Cedarville, approximately 80% of students live on campus and enjoy the comforts and safety the small town has to offer. 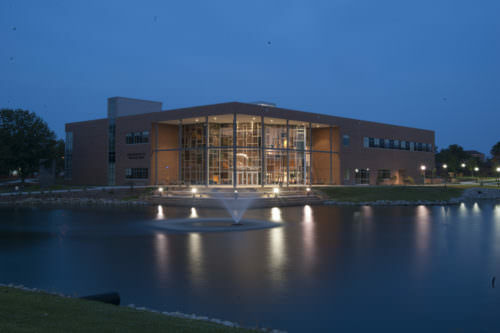 Established in 1887 by five men who had a vision to create a school that would offer a Christian higher education, Cedarville University is nationally recognized today for its “authentic Christian community, rigorous academic programs, strong graduation and retention rates, accredited professional and health science offerings, and leading student satisfaction ratings.” Offering more than 130 residential and online undergraduate and graduate programs in the liberal arts and professions, a Bible minor is built into every undergraduate program, and each course emphasizes faithfulness to a “biblical-theological position in regard to doctrine” Comprised of several academic schools and departments, these include the areas of Art, Design, and Theatre; Biblical and Theological Studies; Business Administration; Communication; Education; Engineering and Computer Science; English, Literature, and Modern Languages; History and Government; Interdisciplinary Studies; Kinesiology and Allied Health; Music and Worship; Nursing; Pharmacy; Psychology; Science and Mathematics; and Social Work. Cedarville University is accredited by the Higher Learning Commission, certified by the Department of Higher Education and chartered by the state of Ohio. 1,298 total students are currently enrolled at Cedarville University, including 1,135 undergraduates. The University admits 69% of applicants and has a student to faculty ratio of 13 to 1. Tuition costs are estimated at $28,110 (according to data available from the 2016-17 academic year), however 99% of beginning, full-time undergraduates do receive some type of financial aid. Cedarville University boasts a high retention rate among full-time students at 85% as well as a high overall graduation rate of 72%. 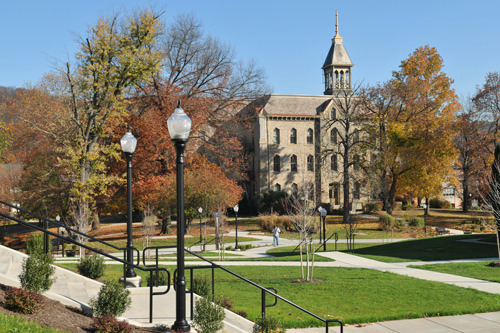 Judson University is a private, conservative, evangelical Christian liberal arts university in Elgin, Illinois. 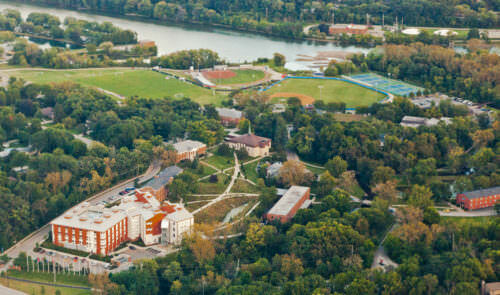 Nestled along the Fox River on a 90-acre campus about 45 miles northwest of Chicago, Judson University operates under the motto, Christus Lux Mundi, or “Christ, Light of the World”. Established as Judson College in 1963, the University grew out of the undergraduate division of the Northern Baptist Theological Seminary which began in 1913. Named for Adoniram Judson, one of the first foreign missionaries from the United States who served in Burma (now Myanmar) for 37 years during the 1800s, in 2007 the College gained its University status and adopted its current name. Judson University seeks to represent “the Church at work in higher education, equipping students to be fully developed, responsible persons who glorify God by the quality of their personal relationships, their work, and their citizenship within the community, the nation and the world.” Aside from is quality academics, Judson University is rapidly gaining a reputation as an evangelical “green” university and is home to a LEED Gold certified building, which is one of the most energy-efficient structure of its kind in North America. Judson University is accredited by the Higher Learning Commission and offers 50 undergraduate majors, minors and pre-professional programs and several graduate programs, including the only fully accredited Master of Architecture program offered by any Christian college or university. 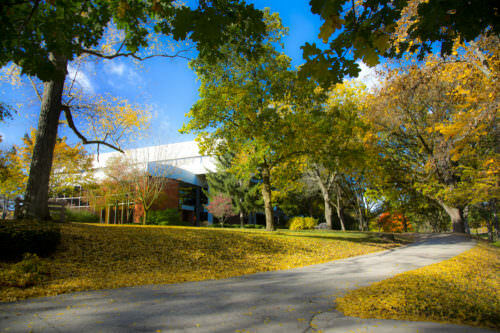 Home to 1,298 students, including 1,135 undergraduates, Judson University has representatives from 30 states and 20 foreign countries in its student body. The University admits 75% of applicants and boasts a low student to faculty ratio of 9 to 1. Tuition costs are estimated at $28,170, and 99% of beginning, full-time undergraduates receive some type of financial aid. The University’s overall retention and graduation rates are 74% and 64%, respectively. Grove City College offers a wide range of undergraduate programs through its two overarching departments of Arts & Letters and Science, Engineering, & Mathematics. 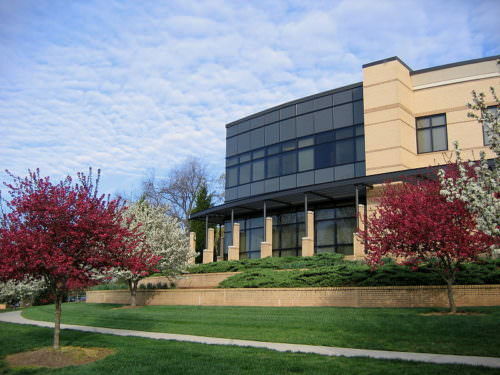 Accredited by the Middle States Commission on Higher Education, the College also maintains formal affiliations with several organizations, including the Pennsylvania Department of Education, the National Association of Independent Colleges and Universities, the Association of Independent Colleges and Universities of Pennsylvania and many others. The College has a total enrollment figure of 2,336 with an average student to faculty ratio of 13 to 1 and an admissions rate of 82%. Estimated tuition costs are $16,630, and 77% of beginning, full-time undergraduates receive financial aid. Grove City College boasts high overall retention and graduation rates of 94% and 81%, respectively. Bachelor of Science, Master of Arts, Education, Master of Arts in Communication: Digital Storytelling, Master of Business Administration, Master of Social Work, and Education Specialist. Accredited by the Commission on Colleges of the Southern Association of Colleges and Schools, Asbury University also has several degree-specific accreditations. Asbury University has a total enrollment figure of 1,854 students, including 1,640 undergraduates, who represent nearly all fifty states and eighteen foreign countries. Over 80% of students live on Asbury University’s campus grounds, and the student to faculty ratio is kept intentionally low at 12 to 1. The University’s admissions rate is 70%, and estimated tuition costs are $28,630 (according to the latest available data from the 2016-17 academic year). However, this cost is reduced for many students as 99% of beginning full-time undergraduates do receive some type of financial aid, whether in the form of institutional scholarships or grants, federal or other government grants, or student loan aid. Asbury University’s retention rate among full-time students is high at 82% as is its overall graduation rate of 64%. Warner University has a total enrollment figure of 3,466 students, including 2,286 undergraduates, and an average student to faculty ratio of 11 to 1. A selective institution, the University admits only 44% of applicants and has a retention rate of 53% among full-time students as well as an overall graduation rate of 37%. Tuition costs are estimated at $20,712, according to data available from the 2016-17 academic year, and 98% of beginning, full-time undergraduate students receive some type of financial aid, whether in the form of institutional grants or scholarships, federal or other government grants, or student loan aid. Union University is a private, evangelical Christian, four-year, liberal arts-based university located in Jackson, Tennessee. The oldest institution affiliated with the Southern Baptist Convention, Union University’s heritage reaches back to 1823 with the founding of the Jackson Male Academy which began shortly after West Tennessee opened for settlement. 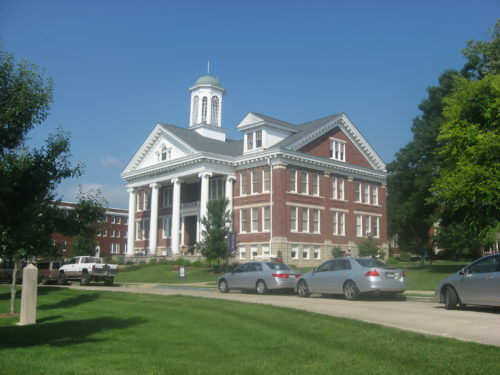 The University as it is known today is the inheritor of three antebellum schools (including Jackson Male Academy) as well as the Hall-Moody Junior College of Martin, TN which it obtained in 1927. A Southern Baptist institution since the late 1800s, today Union University’s mission is to provide a “Christ-centered education that promotes excellence and character development in service to Church and society.” Founded upon the core values of Excellence-Driven, Christ-Centered, People-Focused and Future-Directed, the University offers over 100 academic programs through its several colleges and schools. These include the School of Adult & Professional Studies, the College of Arts & Sciences, the McAfee School of Business, the College of Education, the School of Nursing, the College of Pharmacy, the School of Social Work, and the School of Theology & Missions. Union University is accredited by the Southern Association of Colleges and Schools Commission on Colleges to award associate, baccalaureate, master’s, education specialist, and doctoral degrees and holds several discipline-specific accreditations and affiliations as well. Union University has a total enrollment figure of 3,466, including 2,286 undergraduates, with a student to faculty ratio of 9 to 1 and an admission rate of 63%. Estimated tuition costs (according to the latest available data from the 2016-17 academic year) are $29,190; however 100% of beginning, full-time undergraduate students do receive financial aid, whether in the form of institutional scholarships or grants, federal or other government grants, or student loan aid. Union University has a high retention rate among full-time students at 85% and an overall retention rate of 68%. Northwestern College is a private institution of higher education offering a Christian liberal arts education in the Reformed tradition. Located in Orange City, Iowa, Northwestern College began in 1882 and was founded by residents of northwestern Iowa as the Northwestern Classical Academy for the purpose of preparing students for college and the ministry. In 1928 the Academy’s junior college was established and in 1960 became a four-year college. Affiliated with the Reformed Church in America, Northwestern College is “committed to providing a Christian liberal arts education in the context of community among learners on campus and online.” The College’s mission is to be “a Christian academic community engaging students in courageous and faithful learning and living that empowers them to follow Christ and pursue God’s redeeming work in the world.” Northwestern College is accredited through the Higher Learning Commission and is a member of the Council for Christian Colleges & Universities (CCCU) as well as the Iowa Association of Independent Colleges and Universities. Northwestern College offers more than 80 academic programs including 40-plus majors, 16 pre-professional programs, several career concentrations, and certificates. Degrees awarded include the Bachelor of Arts, Bachelor of Science in Nursing, and the Master of Education. 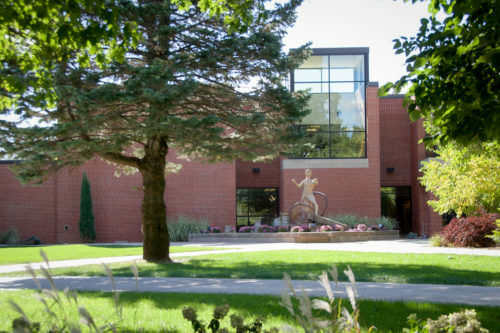 Northwestern College has a total enrollment figure of 1,205, including 1,091 undergraduate students, with a student to faculty ratio of 13 to 1 and an admission rate of 66%. Estimated tuition costs (based on the latest available data from the 2016-17 academic year) are $28,950; however 100% of beginning full-time undergraduates do receive some type of financial aid, whether in the form of institutional grants or scholarships, federal or other government grants, or student loan aid. 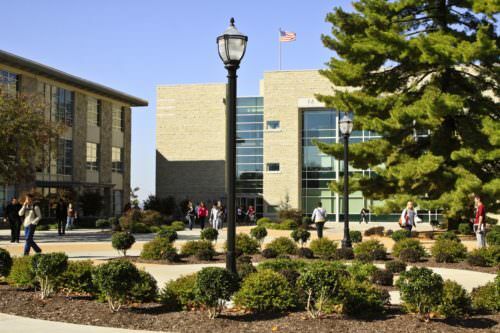 Northwestern College has a high retention rate of 82% among full-time students and an overall graduation rate of 64%. Belhaven University is a private Christian liberal arts university in Jackson, Mississippi. The University’s ideal locations offer students the best of both worlds. With its campus set in a charming historic neighborhood, students have the comfort and security of a quiet area combined with the urban advantages of Jackson, a city named as one of the best in the U.S. for entrepreneurs. Established in 1883, Belhaven University came to be as the result of a merger between the Mississippi Syndical College and McComb Female Institute. 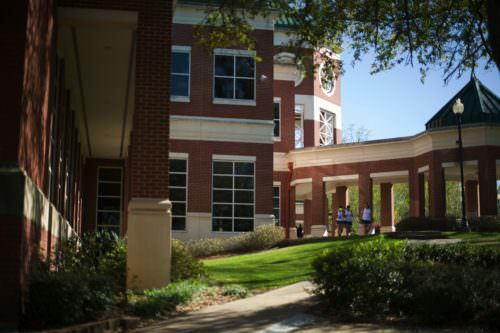 Today the University offers 70 areas of study including academic majors and concentrations and a variety of master’s degree programs, all taught from a Christian worldview perspective and guided by the University’s mission to prepare students “academically and spiritually to serve Christ Jesus in their careers, in human relationships, and in the world of ideas.” Belhaven University is one of only 36 universities to be nationally accredited in each of the major arts (music, theatre, visual art, and dance) and is one of only two Christian universities recognized by the White House Stem Initiative. Belhaven University is accredited by the Southern Association of Colleges and Schools Commission on Colleges (SACSCOC) to award associate, baccalaureate, and master’s degrees. The University has a total enrollment figure of 4,758, with an average student to faculty ratio of 11 to 1. A selective institution, Belhaven University admits just 43% of applicants. Estimated tuition costs, according to latest available data from the 2016-17 academic year, are $21,816; however 100% of beginning, full-time undergraduate students do receive some type of financial aid, whether in the form of institutional scholarships or grants, federal or other government grants, or student loan aid. Belhaven University has a retention rate of 67% among full-time students and an overall graduation rate of 36%. 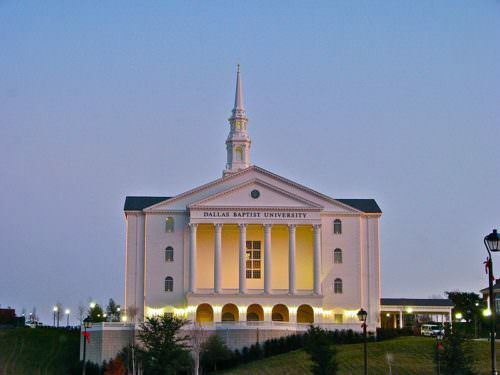 Dallas Baptist College (abbreviated DBU) is a private Christian liberal arts university in Dallas, Texas. Strategically located a short drive away from both downtown Dallas and downtown Fort Worth, resident students enjoy the benefits of an urban setting as well as the serenity of DBU’s campus with its scenic views and rolling foothills. Formerly known as Dallas Baptist College, DBU began in 1898 with the establishment of Decatur Baptist College, the University’s forerunner. 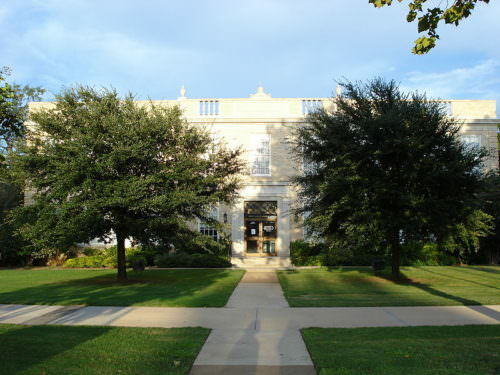 The first junior college founded in Texas, the college was originally located in the small town of Decatur before relocating to southwest Dallas in 1965. It was also at this time that the school became a four-year institution and eventually adopted its current name after offering its first graduate-level degrees. Today, DBU’s mission is “to transform the lives of students who will transform the world, all for the glory of God.” Comprised of several colleges and schools, these include the College of Business, Mary Crowley College of Christian Faith, Dorothy Bush College of Education, College of Fine Arts, College of Humanities & Social Sciences, College of Natural Sciences & Mathematics, College of Professional Studies, Gary Cook School of Leadership, and the Graduate School of Ministry. Dallas Baptist University is accredited by the Southern Association of Colleges and Schools Commission on Colleges to award associate, bachelor’s, master’s, and doctoral degrees. 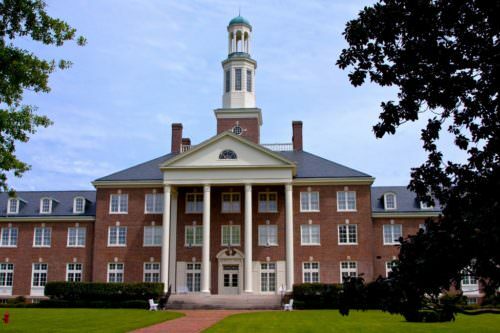 DBU offers 73 undergraduate programs, 31 master’s degrees and 2 doctoral programs. Average class size is 11 students, nearly matching DBU’s low student to faculty ratio of 12 to 1. DBU has a total enrollment figure of 5,156 and admits 43% of applicants. Estimated tuition costs (according to data from the 2016-17 academic year) are $26,180, and 96% of beginning, full-time undergraduates receive financial aid. 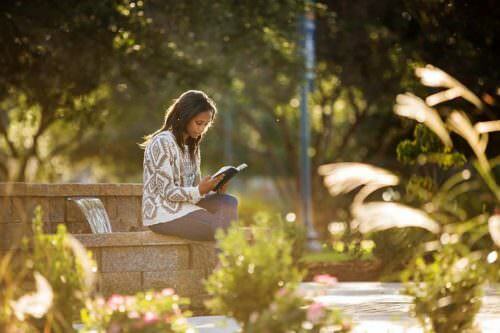 DBU boasts a high retention rate among full-time students at 77% with an overall graduation rate of 59%. Simpson University has been accredited by the Western Association of Schools and Colleges (WASC) Senior College and University Commission (WSCUC) since 1969. Currently 1,012 students are enrolled, including 790 undergraduates, with an average student to faculty ratio of 11 to 1, and the College has an admission rate of 52%. Estimated tuition costs are $25,200 (according to the latest data available from the 2016-17 academic year), and all beginning, full-time undergraduates receive some type of financial aid. Simpson University boasts a high retention rate among full-time students at 82% and an overall graduation rate of 47%. 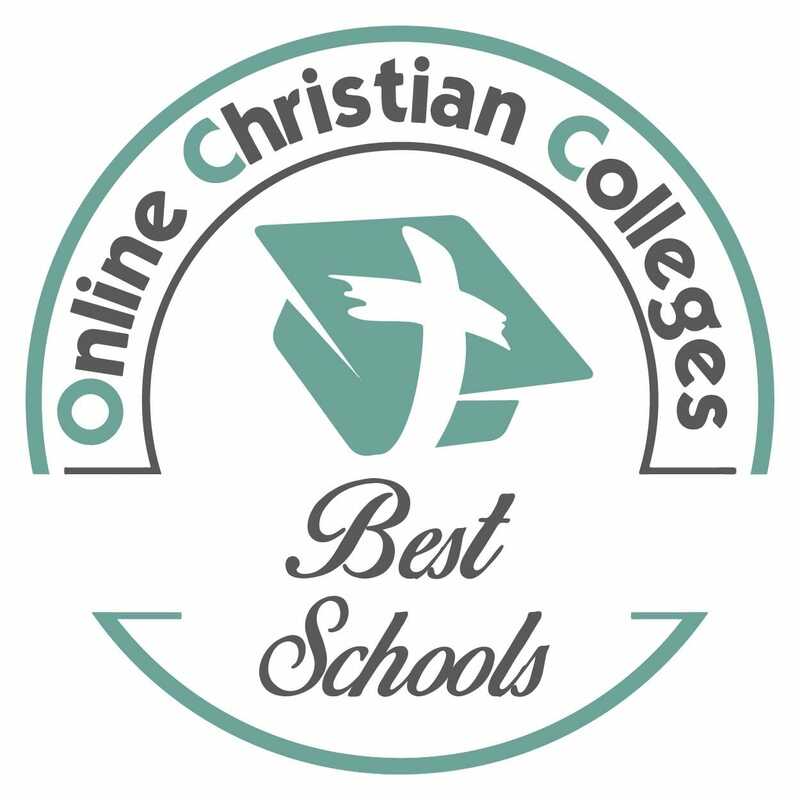 Accredited by the Higher Learning Commission, Oklahoma Christian University is comprised of 14 academic departments and five colleges, including the College of Biblical Studies; the College of Business Administration; the College of Engineering and Computer Science; the College of Liberal Arts; and the College of Natural and Health Sciences. More than 60 undergraduate majors are offered as well as several graduate programs, including the Master of Accountancy, the Master of Business Administration, the Master of Science in Computer Science, the Master of Science in Engineering, the Master of Arts in Christian Ministry, the Master of Divinity, and the Master of Theological Studies. OCU has a total enrollment figure of 2,557 and a student to faculty ratio of 13 to 1. Tuition costs are estimated at $20,840, and 100% of beginning full-time undergraduate students receive financial aid. OCU has an admissions rate of 61% and overall retention and graduation rates of 77% and 49%, respectively. Houghton College is a private, residential, Christian liberal arts college located in Houghton, New York in the beautiful Genesee Valley. 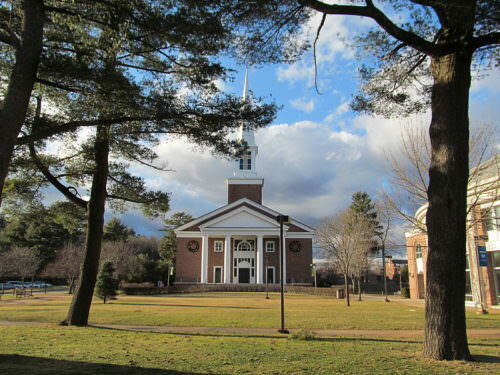 Affiliated with the Wesleyan Church and coeducational since its founding, Houghton College began as a seminary (high school) in 1883 and operated as a secondary school for its first 15 years until 1899 when it began offering its first college classes. In 1901 the college department of the school awarded its first diploma, and in 1923 the College received its provisional charter from New York State. Today, Houghton College focuses on “preparing students to serve God fully and faithfully in the 21st century” and has a mission to provide “an academically challenging, Christ-centered education in the liberal arts and sciences to students from diverse traditions and economic backgrounds and equips them to lead and labor as scholar-servants in a changing world.” Known for its affordable programs and rigorous academics, Houghton College offers students an “experiential and transformative learning experience” within a tight-knit and highly relational Christian community. 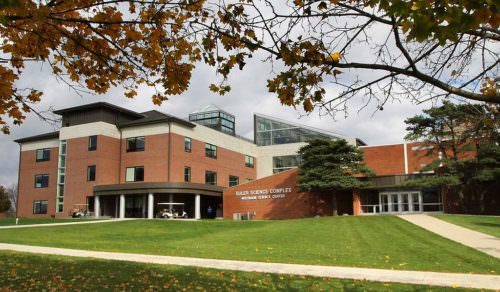 Houghton College is accredited by the Middle States Commission on Higher Education and the Regents of the University of the State of New York and is also a member of the National Association of Schools of Music. More than 40 undergraduate majors are offered, including online degrees, study abroad programs, and an honors program. 1,059 students are currently enrolled, representing 39 states, 31 countries and 30 Christian denominations. Among Houghton College’s graduates, 97% are reportedly employed or in graduate school within nine months of graduating. The College has a student to faculty ratio of 13 to 1 with an admissions rate of 79%. Tuition costs are estimated at $30,336, and 100% of beginning full-time students receive financial aid. Houghton College’s overall retention and graduation rates are high at 86% and 72%, respectively. Accredited by the Southern Association of Colleges and Schools Commission on Colleges, Judson College offers 20 undergraduate majors, 22 minors and 10 pre-professional programs, as well as an associate’s degree in nursing. 96% of Judson College graduates are employed or enrolled in graduate school within one year of graduation. The College has a total enrollment figure of 327 undergraduate students, with an average student to faculty ratio of 9 to 1, and as a selective institution admits 58% of applicants. Tuition costs (based on data from the 2016-17 academic year) are $17,376, and 100% of beginning, full-time undergraduates receive financial aid. Judson College’s retention rate among full-time students is 68% with an overall graduation rate of 33%. Calvin College is a private Christian liberal arts college located on a 400-acre campus in Grand Rapids, Michigan. Affiliated with the Christian Reformed Church in North America (CRCNA) and Council of Christian Colleges and Universities (CCCU), Calvin College was established in 1876 and named in honor of Protestant Reformer, John Calvin. Calvin College strives to be an “academic community dedicated to rigorous intellectual inquiry” and guided by the historic creeds and confessions of Reformed Christianity insofar as the college’s understanding of scripture is concerned. The College’s mission is to equip students to “think deeply, act justly and live wholeheartedly in everything that you do,” and it seeks to prepare students to be “Christ’s agents of renewal in the world.” Accredited by the Higher Learning Commission, Calvin College offers over 100 undergraduate majors, minors and programs, including top programs in education, engineering, business, nursing, psychology, biology, English, communications, kinesiology, and speech pathology. Three master’s degrees are also offered, including a Master of Accounting Program, Master of Education and Master of Speech Pathology & Audiology. 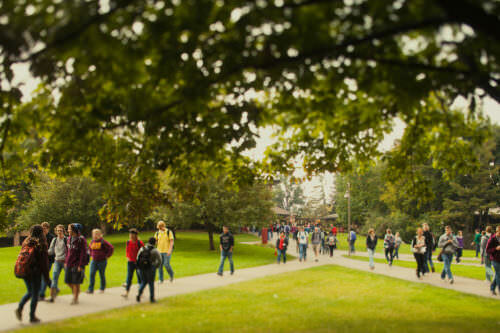 Calvin College has a total enrollment figure of 3,918 with students hailing from nearly all 50 states, five Canadian provinces, and over 60 other countries. 97% of first and second year students live on campus in one of the College’s 7 residence halls or 10 living-learning communities. Class size is kept intentionally small at an average 24 students, and the student to faculty ratio is 12 to 1. 75% of applicants are admitted into Calvin College, and tuition costs are estimated at $31,730 (according the latest available data from the 2016-17 academic year). 100% of beginning, full-time undergraduate students do receive some type of financial aid, and the College’s overall retention and graduation rates are 85% and 77%, respectively. Dordt College offers more than 90 academic programs, with top majors in education, business, engineering, agriculture, and nursing. 1,522 students are currently enrolled, nearly 90% of whom live on campus. Approximately 50% of students come from over 500 miles away to attend Dordt College, and over two dozen foreign countries are represented in the student body. The College has a student to faculty ratio of 14 to 1 and has an admissions rate of 72%. Dordt College’s tuition costs are estimated at $29,130 (according the latest available data from the 2016-17 academic year), and 100% of beginning, full-time undergraduates receive some type of financial aid. The College has a high retention rate of 88% among full-time students and an overall graduation rate of 69%. Geneva College is a private, four-year comprehensive Christian college of the arts, sciences and professional studies, located in Beaver Falls, Pennsylvania on a 55-acre campus northwest of Pittsburgh. Founded and governed by the Reformed Presbyterian Church of North America (RPCNA), Geneva College is a founding member of the Council for Christian Colleges & Universities (CCCU) and is one of four western Pennsylvania schools in the Council. Geneva College is named in honor of Geneva, Switzerland, which served as the center for the 16th century Reformed Christian movement and, as a distinctly Christian institution, the College “acknowledges the inerrancy of Scripture and God’s sovereignty over every field of study, athletic program and extracurricular pursuit.” Accredited by the Commission on Higher Education of the Middle States Association of Colleges and Schools, Geneva College offers approximately 40 major areas of undergraduate studies as well as master’s degrees in Business Administration (MBA), Counseling, Higher Education, Leadership Studies and Organizational Leadership. Geneva College has a total enrollment figure of 1,666, including 1,461 undergraduate students. Classes are kept intentionally small with an average of 18 students, and the College’s student to faculty ratio is 13 to 1. A proponent of hands-on learning, over 75% of Geneva College’s undergraduate students participate in internships, research activities or some type of applied learning. The College’s top undergraduate majors include Business, Engineering, Education, Biology, Communication, Psychology, Student Ministry, and Human Services. Geneva College admits 71% of applicants and has an estimated tuition cost of $25,680; however 99% of beginning, full-time undergraduates do receive financial aid. Geneva College’s retention rate among full-time students is high at 81%, and its overall graduation rate is 66%. Azusa Pacific University is a private comprehensive evangelical Christian university located in the San Gabriel Valley community of Azusa, California, a suburb of Los Angeles. 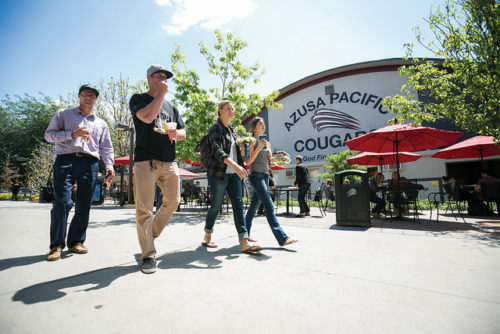 A leader within the Council for Christian Colleges and Universities, Azusa Pacific University (abbreviated APU) began in 1899 as the Training School for Christian Workers, the first Bible college to be founded on the West Coast for the purpose of preparing individuals for ministry and for service. Accredited as an institution by the WASC Senior College and University Commission (WSCUC), the University also has 13 professional accreditations and offers more than 100 undergraduate and graduate programs available on-campus, online and through six regional locations across Southern California. Home to a number of schools, centers and a College, these include the College of Liberal Arts and Sciences, School of Business and Management and the School of Music, located on APU’s 52-acre East Campus, and the Azusa Pacific Seminary, School of Nursing, School of Behavioral and Applied Sciences, School of Education, School of Theology, School of Visual and Performing Arts, Richard and Vivian Felix Event Center and the Segerstrom Science Center, located on the University’s 53-acre West Campus. Azusa Pacific University’s mission statement declares its intention to be “an evangelical Christian community of disciples and scholars who seek to advance the work of God in the world through academic excellence in liberal arts and professional programs of higher education that encourage students to develop a Christian perspective of truth and life.” APU has a total enrollment figure of over 10,000, including nearly 6,000 undergraduate students, with a student to faculty ratio of 12 to 1 and an admission rate of 61%. Estimated tuition costs are $36,120, and 98% of beginning full-time undergraduate students receive financial aid. APU boasts high overall retention and graduation rates of 86% and 70%, respectively. Mississippi College, located in Clinton, Mississippi just west of the state’s capital in Jackson, is a private, coeducational Christian institution. 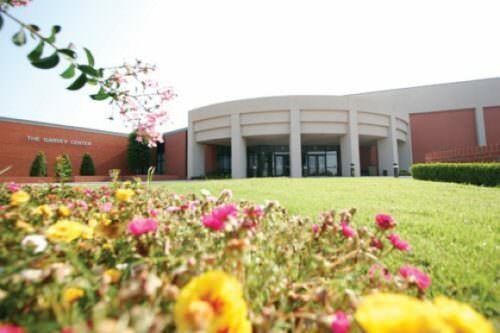 Affiliated with the Mississippi Baptist Convention and governed by a Board of Trustees elected by the Convention, Mississippi College is the second oldest Baptist-affiliated college in the country and the oldest college in the state. Established in 1826 as Hampstead Academy, the College gained its national accreditation by the early 1920s. Today, the College’s mission is to provide “a quality Christian education for its student population” and to stimulate “the intellectual development of its students through the liberal arts and sciences and concentrated study in specialized fields, including pre-professional and professional programs.” Mississippi College makes a point to emphasize undergraduate, graduate, and professional programs that provide opportunities for service and offers more than 80 undergraduate areas of study covering every area of comprehensive liberal arts curriculum. In addition to its undergraduate programs, the College offers 16 master’s degrees as well as doctorates in jurisprudence, educational leadership and professional counseling. Comprised of several schools, these include the School of Business, School of Christian Studies & the Arts, School of Education, School of Humanities & Social Sciences, School of Law, School of Nursing, and the School of Science and Mathematics. 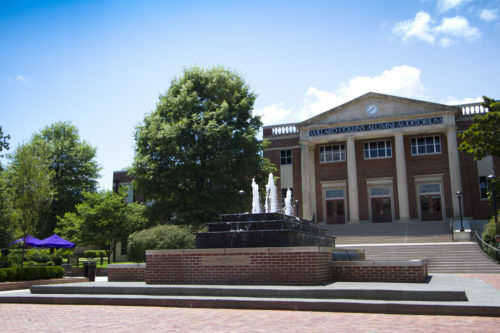 Mississippi College has a total enrollment figure of approximately 5,000 students who represent nearly all 50 states and more than 20 foreign countries. A selective institution, Mississippi College admits 49% of applicants and has a student to faculty ratio of 15 to 1. Tuition costs are estimated at $15,740, based on data from the 2016-17 academic year, and 99% of beginning, full-time undergraduate students receive financial aid. Mississippi College’s overall retention rate among full-time students is high at 81% with an overall graduation rate of 59%. 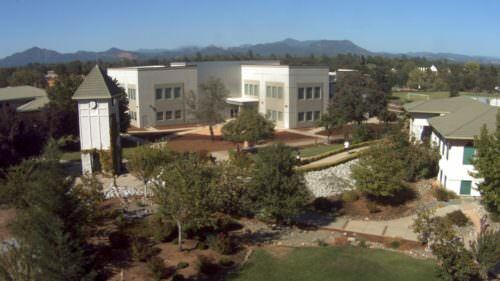 Westmont College is a private, coeducational liberal arts college located in Santa Barbara, California. An interdenominational Christian institution, Westmont College was founded in 1937. Committed to the historic Christian faith, the College’s motto is “Christus Primatum Tenens: Christ Holding Preeminence.” In its mission statement, Westmont College declares its intention to be “an undergraduate, residential, Christian, liberal arts community serving God’s kingdom by cultivating thoughtful scholars, grateful servants and faithful leaders for global engagement with the academy, church and world.” Westmont College is approved by the California State Board of Education and is accredited by the WASC Senior College and University Commission. Westmont College offers a range of undergraduate programs, including 26 liberal arts majors, 11 pre-professional programs, and elementary and secondary credential programs. Major program offerings include art, biology, chemistry, communication studies, computer science, economics and business, engineering/physics, English, English-modern languages, French, history, interdisciplinary, kinesiology, liberal studies, mathematics, music, philosophy, physics, political science, psychology, religious studies, social science, sociology and anthropology, Spanish, and theater arts. 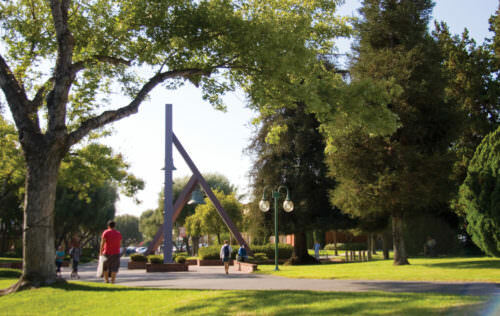 Westmont College currently has a total enrollment figure of 1,277, all of whom are undergraduate students, with an average student to faculty ratio of 12 to 1. Approximately 2,000 individuals apply each year, and the College has an admissions rate of 83%. Estimated tuition costs are $42,900 according to data available from the 2016-17 academic year, and 95% of undergraduate students do receive some type of financial aid, whether in the form of institutional grants or scholarships, federal or other government grants, or student loan aid. Westmont University’s retention rate is a high 82% among full-time students, and its overall graduation rate is 77%. Located in Point Lookout, Missouri just outside of the city of Branson is the College of the Ozarks, a private Christian liberal arts institution. Established in 1906 by the Reverend James Forsythe, a Presbyterian minister, the College began as a high school known as The School of the Ozarks. In 1956 the high school grew into a junior college, and in 1965 it added its first four-year bachelor’s program. The College of the Ozarks’ mission is “to provide the advantages of a Christian education for youth of both sexes, especially those found worthy, but who are without sufficient means to procure such training.” The most significant way in which the College fulfills this mission is that rather than charging tuition costs, full-time students are given the opportunity to work in one of more than 100 campus jobs or industries to partly cover the cost of their education. The remaining portion of students expenses are met through the College’s scholarship programs, which are funded by gifts and contributions of generous donors. Through both the work program and scholarships, full-time students are charged $0 in tuition costs, making the College of the Ozarks the most affordable Christian college in the country. Accredited by the Higher Learning Commission- North Central Association of Colleges and Secondary Schools, the College of the Ozarks offers a wide range of undergraduate programs, including bachelor’s degrees, pre-professional programs, and certificates. An exclusive College, only 14% of applicants are admitted, and the College currently has a total enrollment figure of approximately 1,500, all of whom are undergraduate students, with an average student to faculty ratio of 14 to 1. Committed to character training as well as quality academics, the College of the Ozarks boasts high retention and graduation rates of 74% and 69%, respectively. This concludes our ranking of the 50 best Christian colleges and universities of 2018.